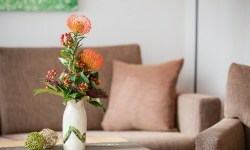 Upscale Service in the Oberstdorfer Ferienwelt: The 3 to 4 star holiday apartments of the Oberstdorfer Ferienwelt combine the space and comfort of an apartment with the first-class service of a hotel to any special holiday experience. 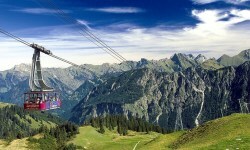 At the Oberstdorfer Ferienwelt, you will profit from numerous services like free mountain railway tickets in the summer season and discounts in winter, bike garage, hiking equipment rentals, children’s equipment and much more. We also offer up-to-the-minute weather reports. Are you longing for a vacation in the mountains? Not only dream about it, but rather start planning to secure a 5% early bird discount in the comfortable apartments of the Oberstdorfer Ferienwelt. Live from Oberstdorf. You can literally make a “picture” of Oberstdorf. Watch the happenings at the market place or the views of the meadows and the mountains. Did the alpine roses bloom already?